Hildred "Peggy" Lyons' first signs of liver problems occurred back in 1968, around the time of her son's birth, when her physician noticed she had elevated liver enzymes. An otherwise healthy woman who worked and also volunteered as a fitness instructor at her church teaching several classes a day to both adults and children, Lyons dismissed it as pregnancy-related and didn’t gave it much thought for the next 30 years. Unfortunately, her liver problems resurfaced right around the time she retired from her job at Proctor and Gamble in 1998. Lyons was told by her physician in her hometown of Albany, Ga., that her liver enzymes were more seriously elevated and that she should see a specialist for a diagnosis. He also told her to cut back teaching her exercise classes, something she was reluctant to do. After going to a medical center in Atlanta for an evaluation of her condition, she was left wondering what her next steps were as she grew progressively ill without any answers. Lyons turned to her church for support, where her pastor and fellow members prayed and fasted, hoping for an answer. On the last day of a 30-day fast, her pastor received a call from "a total stranger" in her community who said, "The answer is in Jacksonville, Fla., at the Mayo Clinic." Neither Lyons nor her pastor were aware of Mayo Clinic in Florida at the time, but they were convinced this was an answer to their prayers. Although Lyons’ original doctor did not agree with her decision, she insisted, and he did the research and made a referral appointment at Mayo Clinic. Once at Mayo, she was evaluated and diagnosed with end stage liver disease, secondary to primary sclerosing cholangitis. By the time Lyons was put on the transplant list at Mayo Clinic in Florida in January 2001 at age 50, her liver was almost non-functional, and her condition was worsening. She was told that the average wait time for a new liver was three months to six years, time she worried didn’t have given her liver’s poor condition. After leaving Mayo Clinic concerned and hoping for a miracle, less than 12 hours after being put on the transplant list she was called back to the hospital. A matching donor had been found, and she immediately returned to Mayo Clinic for her liver transplant. Her donor was a four-year-old boy named Michael who had been killed in a boating accident. Now, 13 years after her successful transplant, to honor Michael and her faith, Lyons decided to write a book outlining her journey and how she overcame her illness. 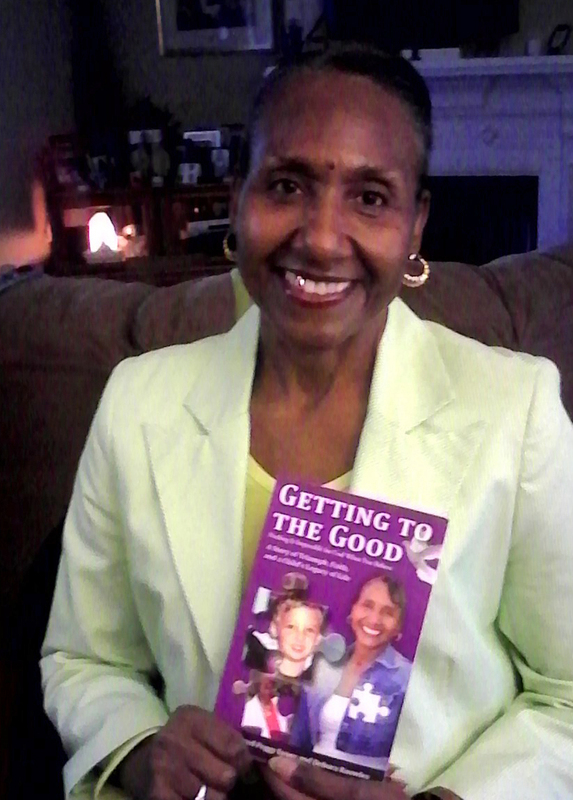 The book, Getting to the Good, Nothing is Impossible for God When You Believe, was written with input from her donor’s family and completed in August 2013. "While my book talks about how God will help you through any impossible situation, it also talks about triumph, faith and a child's legacy of life," says Lyons. “I believe young Michael, who would have been 18 years old now, and I were somehow connected by God and were meant to be in each other’s lives. I think of him often and hope this book honors his memory and the gift he gave to me." Editor's note: For those interested in raising awareness for the importance of organ donation, the 10th Annual Katie Ride for Life will be taking place on April 12, 2014 in Amelia Island, FL. Funds raised, help to promote organ and tissue donation and deliver important educational programs to high school freshman and sophomores. Mayo Clinic is the presenting sponsor for this event and has close to 200 riders and walkers that participate each year on Team Mayo Clinic, and would love for you to join the ride. Learn about liver transplant services at Mayo Clinic. See services offered through the Mayo Clinic Transplant Center. Join the conversation in the Transplant Discussion Group on Mayo Clinic Connect. Learn about appointments at Mayo Clinic.